Currently closed. Reopens 12 September 2019. Established in 2007 and supported by the Malcolm Robertson Foundation, the Overland Judith Wright Poetry Prize for New and Emerging Poets seeks outstanding poetry by writers who have published no more than one collection of poems under their own name (i.e. writers who’ve had zero collections published, or one solo collection published). 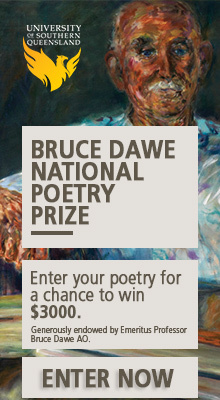 It remains one of the richest prizes for emerging poets, and is open to poets anywhere in the world. In 2019, the major prize is $6000, with a second prize of $2000 and a third prize of $1000. All three winners will be published in the first issue of Overland’s print magazine of 2020.